Dry socket (also called alveolar osteitis) is a dental problem which may cause pain and discomfort. 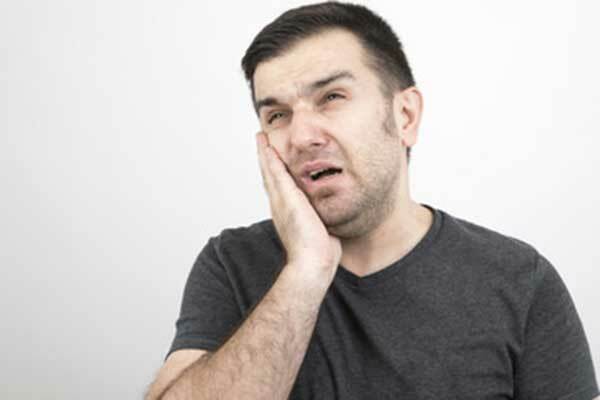 It usually occurs 5 – 6 days after having tooth extraction, particularly when you have your wisdom teeth removed. After your tooth has been extracted, a blood clot in this spot will be formed to prevent bleeding and protect the nerve endings. If these blood clots break off before the wound has healed, it will lead to dry socket. There are a variety of home remedies used for removing dry socket fast and safely. However, sometimes these natural treatments are not enough to get rid of the pain and discomfort. In these cases, you need an emergency medical treatment right away. Here are the best natural remedies for dry socket that you should try at home. People with a dry socket are known to experience facial pain, especially the jaw and cheek. Cold compress is one of the most effective ways that can help ease this pain due to its cooling effect. - Wring out the excess water. - Leave it on for 10 – 15 minutes. Use this treatment 4 - 5 times daily until you feel better. Clove oil is also considered one of the best methods to get rid of dry socket quickly and safely. It contains the anesthetic and analgesic properties which can help decrease the pain and feel very comforting. The components present in this oil may act as physical barriers to prevent nerve endings and oral tissue from touching each other. - Soak a small cotton ball in clove oil and then wring out the excess oil. - Put this cotton ball in the socket for one or two minutes. - Rinsing your mouth with salt water after removing the cotton ball. Apply this treatment 2 – 3 times throughout the day to get the best results. Due to its tannic acid which acts as a natural antibiotic, the black tea bag can help ease pain and swelling caused by dry socket. - All you need to do is soaking a tea bag in a cup of hot water and leaving for 5 – 7 minutes. - Remove and gently squeeze out the excess water. - Put this tea bag in the refrigerator for about 20 - 25 minutes and set it aside until it becomes cooler. - Then put the cold tea bag on your affected area. Hundreds of studies have suggested that components present in tea tree oil can help get rid of a dry socket without any side effects. It contains the antifungal, antibacterial and antiviral properties which can work effectively to deal with gum infections and other oral problems. - Dip a small cotton ball in this solution and gently squeeze out the excess water. - Use this home remedy for dry socket several times a day until you feel better. Turmeric has been used so widely for centuries to treat inflammation and infection as well. Due to its analgesic and anti-inflammatory properties, this herb can help get rid of a dry socket naturally without any side effects. Moreover, it also speeds up the healing process and ease pain. Alternatively, you can make a cup of turmeric tea by mixing 1 – 2 teaspoons of turmeric powder with a glass of warm water (or milk). Drink this solution twice a day until your symptoms resolve. Due to its anti-inflammatory and a natural antibiotic, garlic is known as one of the most effective ways to ease pain in the gums and teeth caused by dry socket. Moreover, using garlic for this condition also helps reduce the chance of getting an infection. - You should consume raw garlic frequently throughout the day until you feel better. The pain will decrease little by little after the garlic juice spreads around the dry socket area. Repeat this treatment once or twice daily. - Crush two fresh garlic cloves and mix it with ¼ teaspoon of salt to make a paste. - Use this natural treatment 2 – 3 times throughout the days until you notice a difference. - You should regularly visit your dentist for dressing changes and other oral care. - For 5 – 6 days after your tooth extractions, avoid excessive exercise to prevent the blood clots from dissolving.